Full-range studio monitors ideal for tracking, mixing and general playback. The Avantone Abbey is designed to combine tonal excellence, accuracy and value in a complete loudspeaker system. 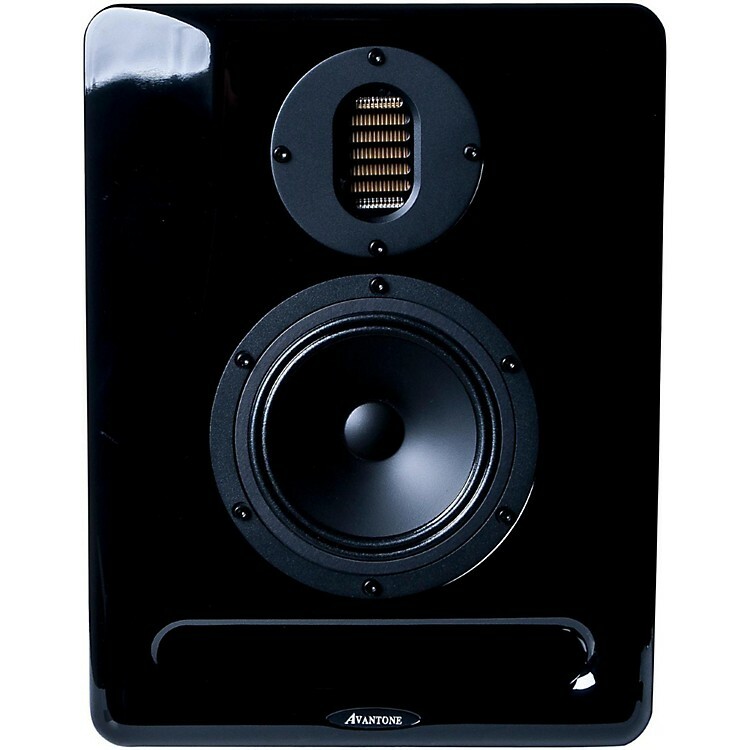 This full-range, 3-way active reference monitor includes precise, no-compromise drivers in a reasonably compact format that will complement any modern production environment. Important mixing decisions rely on accurate sound reproduction, and the Abbey is made with exceptional dynamics, detailed resolution and high SPL performance. By providing a seamless transition from one genre to the next, the Abbey can be used in all phases of production from tracking and mixing, through mastering and post production playback. Close attention was paid to the reproduction of critical mid-range frequencies where most vocals, guitars, and keyboard live. This is where having a full-range monitor with crossover points set above and below the critical listening frequencies is truly revealing. A smooth midrange, accurate, transparent top-end response and extended low end provides a depth and clarity that any studio demands. You wont find any acoustic space controls on the back of the Abbey, but thats because Avantone delivers a product that is mix ready for a wide variety of spaces, leaving you more time to concentrate on making music and less time fidgeting with settings. Avantone spent years of research and development, comparative listening, and refinement to create the unique voicing of the Abbey, and the result is a very smooth sounding, full-range system that is an easy upgrade from most other 2-way systems.